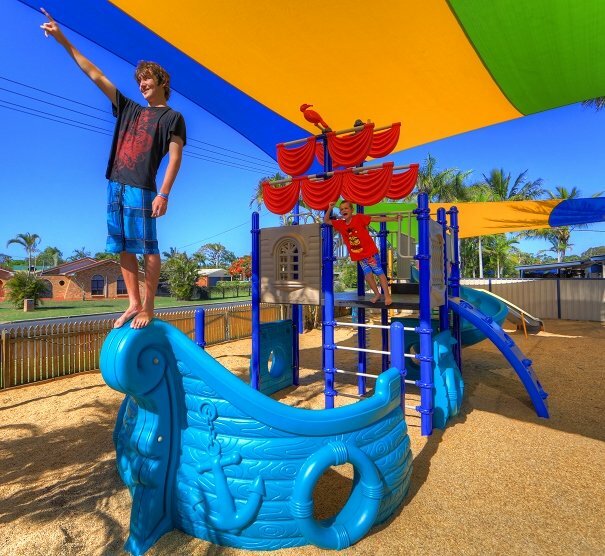 Winner of the 2012 Fraser Coast tourism awards for the Best Tourist park & Best Tourism Business, the Happy Wanderer Village is the ideal location to base your stay while visiting Hervey Bay, with its abundance of natural attractions, including World Heritage Fraser Island and Whale Watching. 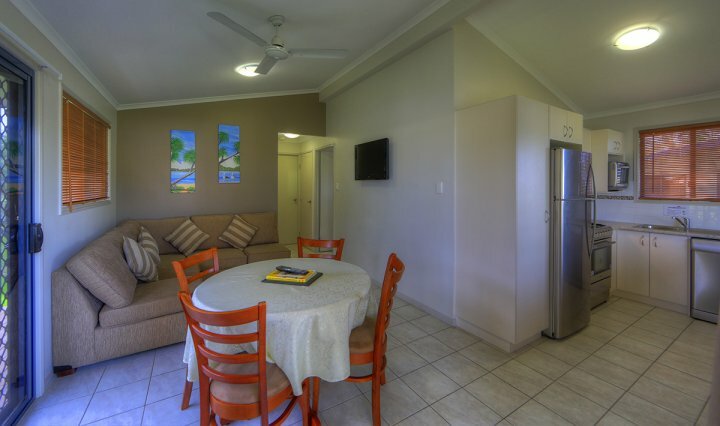 Set amongst 8 acres of sub tropical gardens, the discerning traveler has a diverse selection of 1, 2 & 3 Bedroom, Self Catering Accommodation to suit their needs and budget, with many convenient facilities including Pools, Play Grounds, BBQ facilities, total Wi-Fi coverage and more. 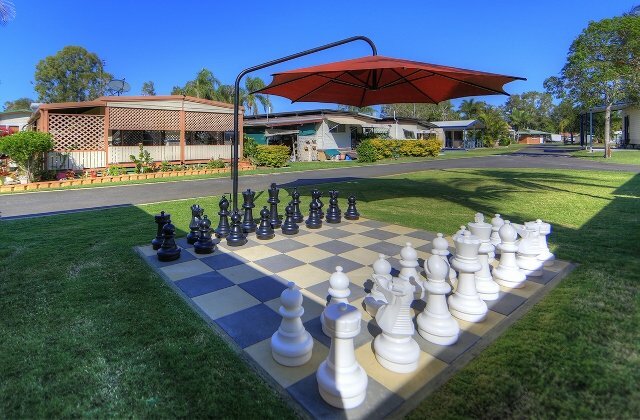 Situated in the Torquay lakes, with direct access to Shelly beach (400M) and the Esplanade, being half way between Boat Harbour drive and The Esplanade you have easy access to Hervey Bay without the road noise when you return. 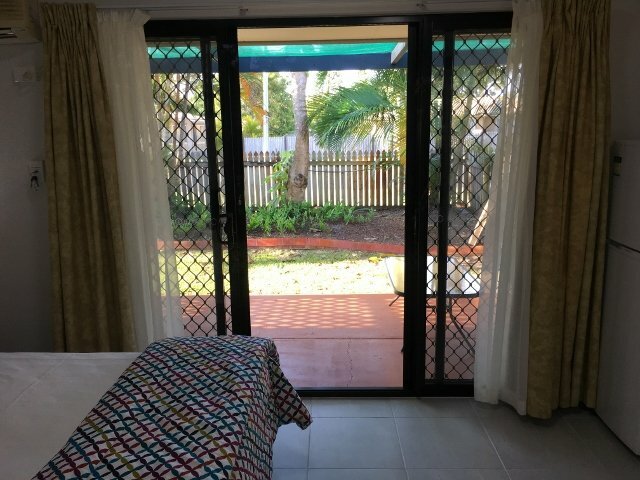 Our fully accredited tour desk also has a great range of activities to choose from, World heritage listed Fraser Island, Whale watching, coral viewing, fishing to name a few, and can store of your vehicle and caravan when booking one of our multi day tours. We also have bike, canoe or fishing rods available from our on site hire shed. With great purpose built bike paths traversing the bay, and relative flat terrain, its a great way for the whole Family to explore our City. 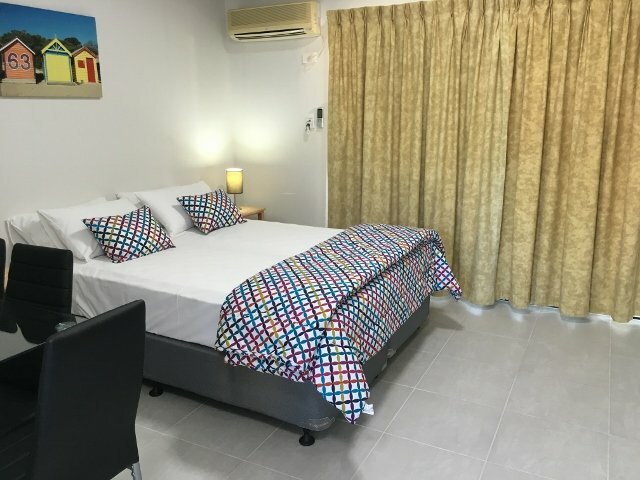 Or you may choose sit back and relax at the Happy Wanderer village, the sites are spacious, the amenities clean, modern and well maintained, the accommodation clean and comftable and all set on 8 acres of sub tropical gardens, what you would expect from a 4 star rated property. There is a play ground, TV and games room for the kids. 3 BBQ areas and a camp kitchen for your convenience. 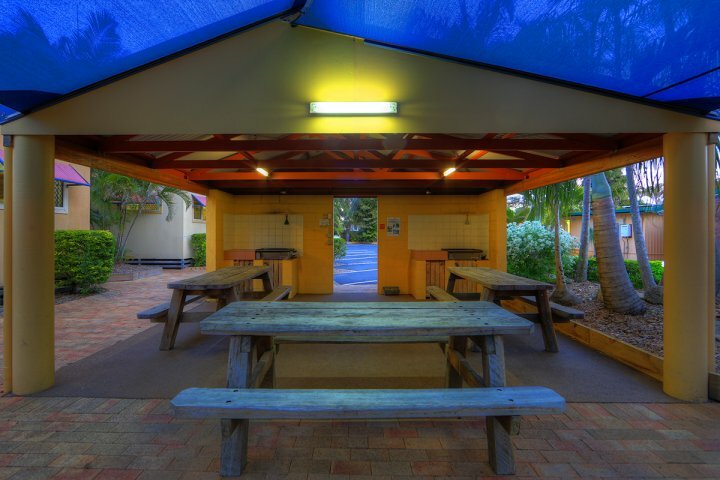 Your communication needs are covered WiFi internet covering the entire park, and an internet café, public phone, fax service and coverage by all the mobile phone companies. Also a car/boat wash complete with a high pressure cleaner and fish cleaning bench for after those days on the water. 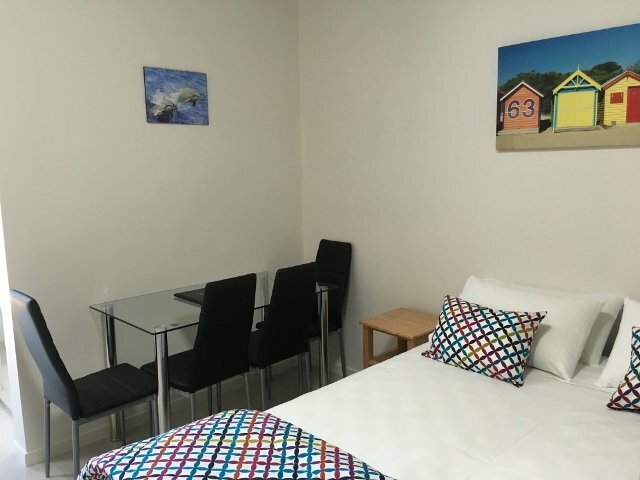 Clean and comfortable without the frills, the cabin has 1 double bed only (underlay and pillows provided), clock/radio and fans, a small well equipped kitchen, flat screen TV/ DVD, verandah with outside setting, External ensuite, BYO bedding and towels or you may hire on site. 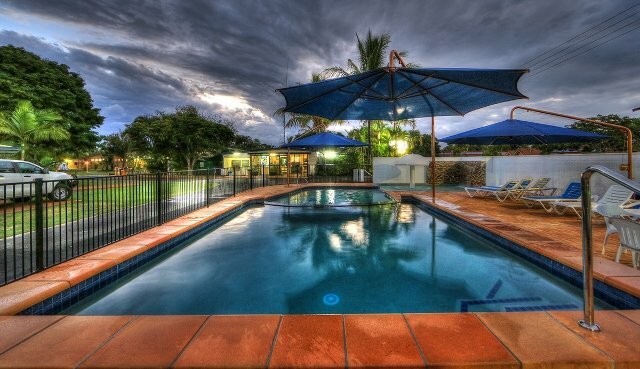 Fully refurbished November 2010, set in the south east corner of the village close to the Torquay lakes, the ideal getaway to relax for a few days or and extended stay, Fully equipped kitchen, lounge, flat screen TV/DVD, air-conditioning, fans in all rooms, separate bedroom with built in robe, full length mirror, queen bed, outdoor setting, balcony, undercover parking. 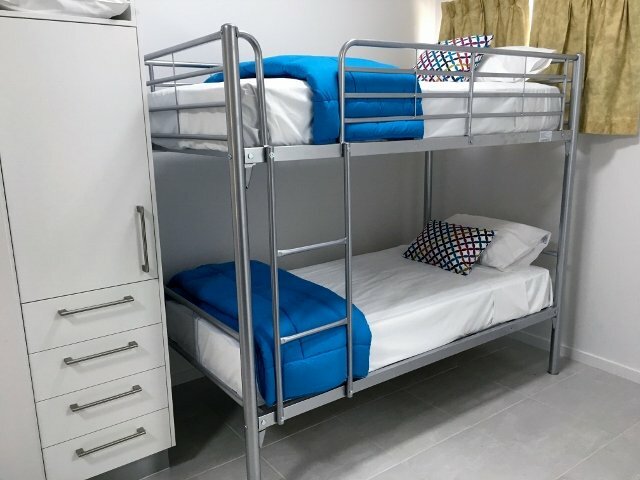 Clean and comfortable without the frills, each bedroom has a 3/4 bed and single bunk (underlay and pillows provided), clock/radio and fans in each room. 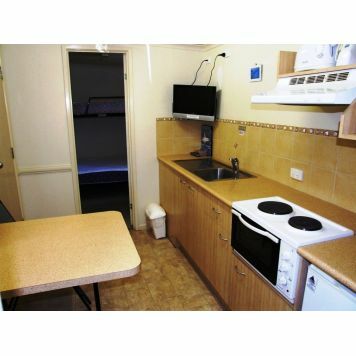 A small well equipped kitchen in the centre of the cabin with flat screen TV& DVD, verandah with outside setting, external ensuite, BYO bedding and towels or you may hire on site. 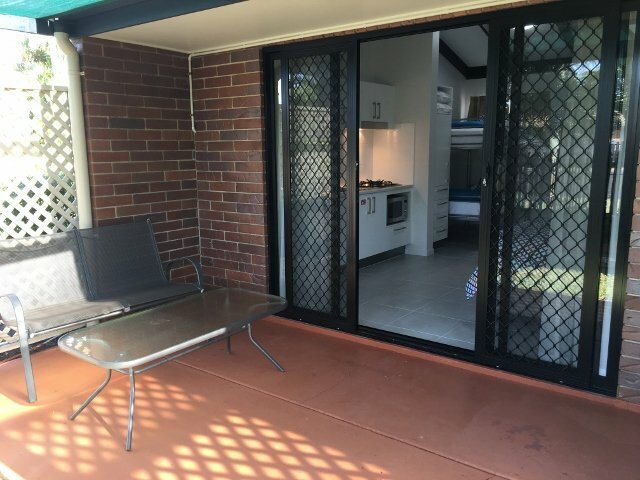 Light airy & cool with contemporary Queensland decor, set amongst manicured sub tropical gardens, close to BBQ settings and only a short stroll to Shelly beach, restaurants & shops. 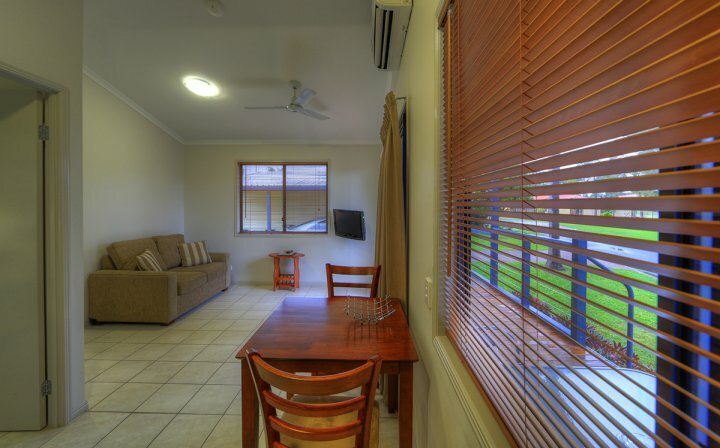 These villas are Air-conditioned with a fully equipped kitchen, large flat screen TV/DVD, 1 Queen & 2 single beds, balcony & outdoor setting. Quiet location, parking beside the villa. NEW November 2010, this ultra modern cabin, set in the south east corner of the village close to the Torquay lakes is ideal for the large family or 2 couples travelling together, they have a fully equipped kitchen with dishwasher, air-conditioning, inside and outside dinning settings, Large flat screen TV/DVD in lounge, another Flat screen TV/DVD in the main bedroom. Spacious balcony. 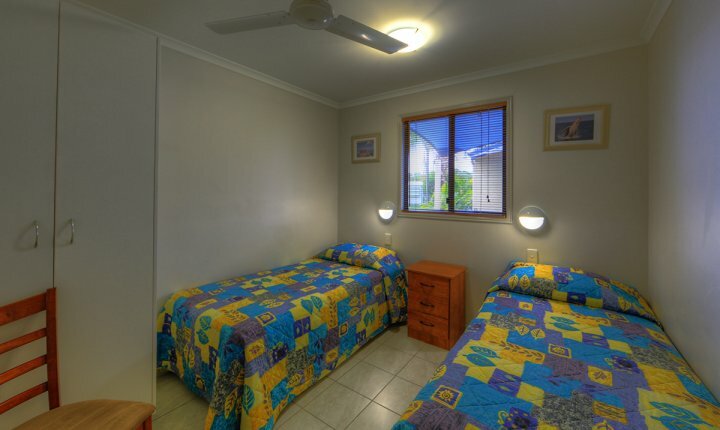 Bedding may be 1 queen bed and 4 singles OR 2 queens beds & 2 singles, also 2 ensuites and undercover parking. 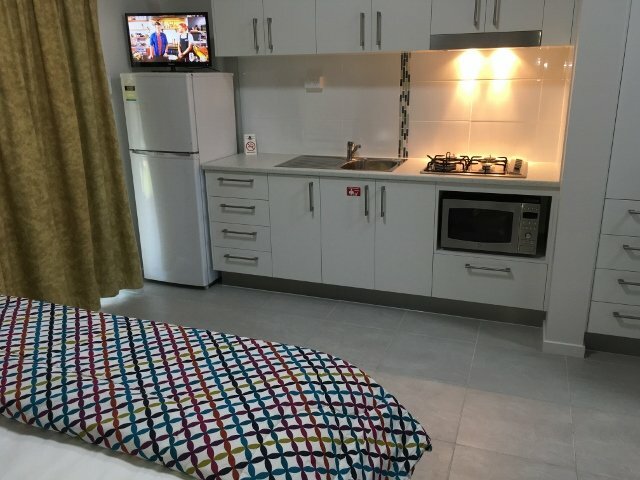 Everything you need for the short break, all studio units are open plan, come complete with a full kitchen, air-conditioning, inside & outside setting, veranda overlooking gardens, all ground level, close to pool, double bed and single bed, flat screen TV/DVD, fans, quiet location 400metres to beach and restaurants. Fax service. Photo copying. Internet cafe, lap top hire & full property wireless coverage at ADSL2 speed. network connection for laptops. Coverage of all mobile networks. Reception hours are between 7.30am and 6.00 pm. Please advise if check in after 6.00 pm. by phone 07 41251103. There is an intercom at the entrance for late check in. Extra charges do apply for extra children and adults. There is a car park for each unit. under cover parking is avaliable for the Superior Cabin range. No additional fee for parking. We are about 3.5 hours drive north of Brisbane. 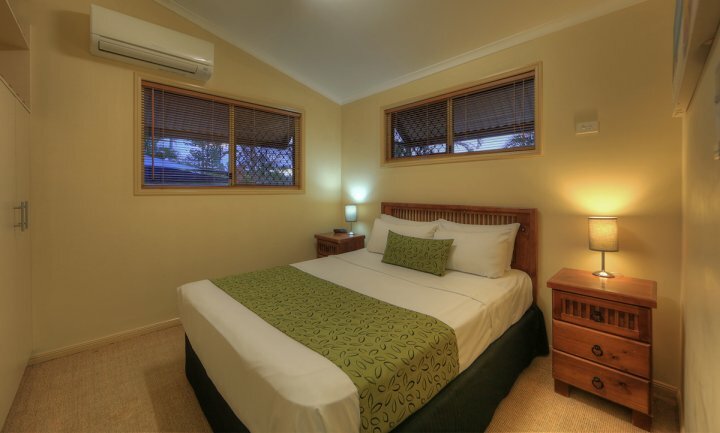 A 10min Taxi ride from the Hervey Bay airport. 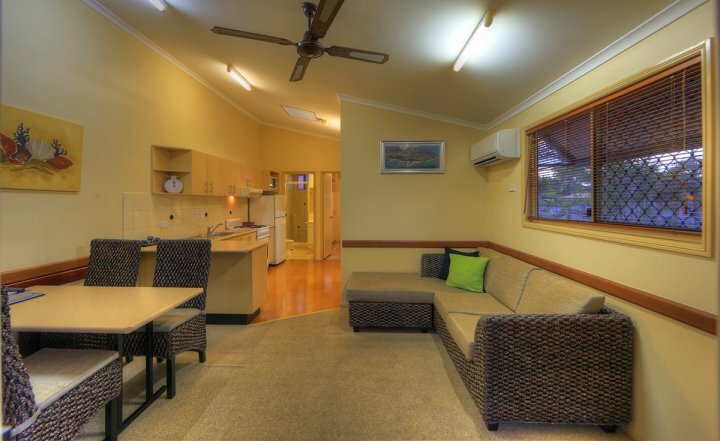 1, 2, and 3 day tours depart daily for Fraser Island, there is a number of fishing charters going on a regular basis. Whale Watching season is from late July till late October each year and is some of the best sight seeing in the world. In addition to this there is a number of local attraction on the mainland.